Samsung Electronics, a tech comm firm that is based in South Korea, has been one of the leading companies in its field. It has manufactured some of the most powerful and popular devices in the global market. One of its most recent successes is the release of the Samsung Galaxy S4 Smartphone, which went on to become the best selling handset of 2012. The company has never failed to produce gadgets that appeals to various income levels producing tablets and Smartphones that span across various price points. And while it has produced a budget-friendly gadgets, the quality of these devices cannot be pegged at less than midrange. For example, most of its Smartphones are good for integration with your office-based VoIP service, which makes them a good companion for the business-minded. Samsung would be with us for quite some time, what with the trajectory of its performance in the market scene, accentuated by its barrage of gadgets (from the Galaxy series) that do not fail to capture the imagination of consumers. We have made a review of the three newest additions to Samsung’s repertoire of cool gadgets. These gadgets are the Samsung Galaxy S4 mini, the Galaxy S4 Zoom and the Galaxy NX. Samsung has released a barrage of Galaxy devices that cut across a number of types of gadgets—from Smartphones to cameras. 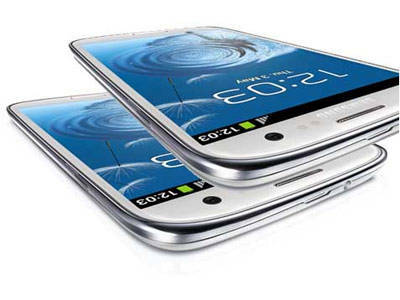 Since last year and up to now, the Korean company has released or have announced the release of the Galaxy S4, the Galaxy S4 mini, the Galaxy S4 Active and the Galaxy S4 Zoom. 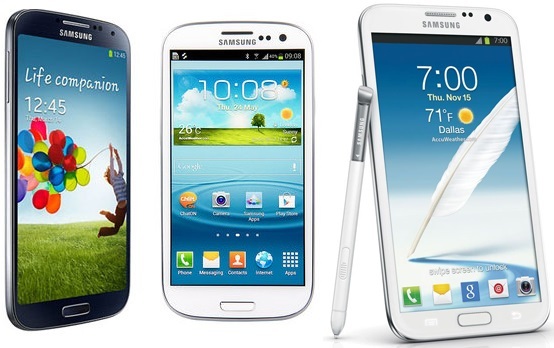 The Samsung Galaxy S4 mini is the smallest device in the bunch, although it is in no way small. This Smartphone features a 4.3” display (as opposed to its bigger sibling Galaxy S4’s 5” panel) and is only lighter than the latter by a trifling 0.06lbs. The device is nice to touch, with only sufficient heft to make it feel secure to hold. Despite the fact that the Galaxy S4 mini has watered down specifications, it is still a top-tier Smartphone. It is fitted with a respectably performing 1.7GHz dual-core processor that is coupled with 1.5GB of RAM. If there are lags when using the device, it is only slightly noticeable. The Samsung Galaxy S4 Zoom has a 4.3” display. One of the most astounding features of this Smartphone is that it comes with a 16MP sensor with Xenon flash. The Xenon flash is better than the LED flash when it comes to low-light conditions. In addition, the Samsung Galaxy S4 Zoom is fitted with a 1.5GHz dual-core processor and features 5GB of onboard storage. This device’s body is primarily made of a light plastic material just like the Samsung Galaxy S4. There is also a function called the In-call Photo Share, which allows you to capture images during a phone conversation and send this image to the one you are talking to. There is also an optical image stabilizer. If the Galaxy S4 Zoom is a camera that has very excellent camera quality whose target audience is the non-professionals, the Galaxy NX is a mirrorless camera that is intended for the professionals. This device runs on Android and is also equipped with 3G/4G/LTE capabilities. There is also support for Bluetooth and Wi-Fi. The Galaxy NX has a 4.8” HD touchscreen that can be used as a digital viewer. It houses a 1.6GHz quad-core processor on top of a separate DRIMe IV Signal processor devoted to imaging. Moreover, this device has a shutter speed of 1/6000th of a second and has hybrid autofocus.